Viewify is a new startup sparking change in college choice outdated and expensive experience. A video atlas of united states colleges based on a peer-to-peer storytelling. More than a video platform, a community where contents are created and shared by students for ‘apprentice students’. 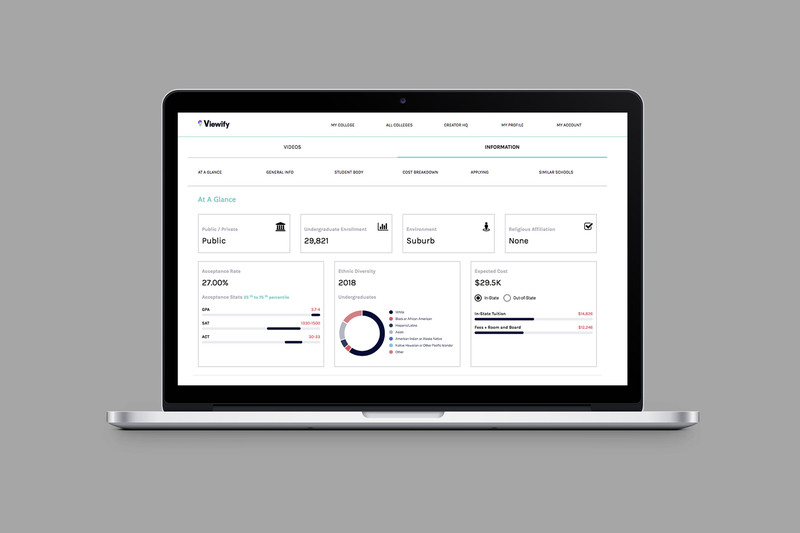 We supported Viewify with UX and design thinking methodologies to sharpen and systemize information architecture, user flows and an organic digital experience to better serve customer needs and to get to a lean viable solution.